Grave of David Whitmer, one of the Three Witnesses of the Book of Mormon. 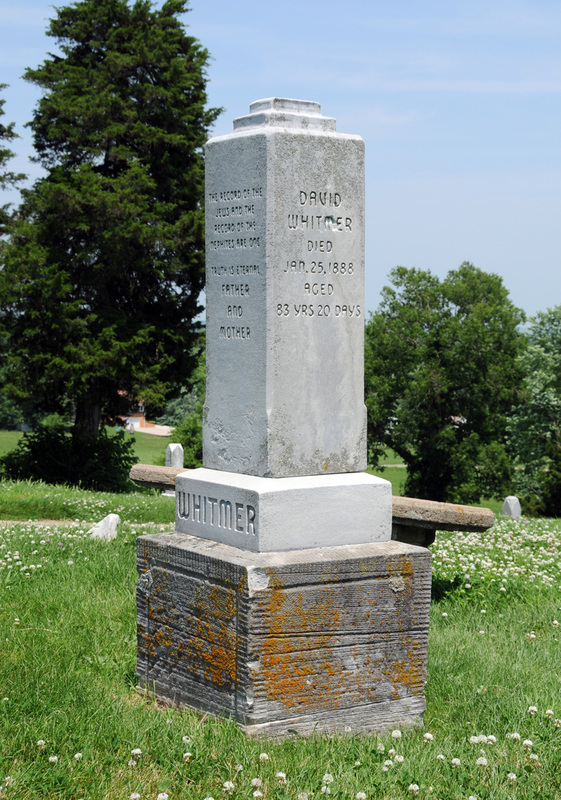 David Whitmer’s name will forever be associated with the Book of Mormon as one of the Three Witnesses to the truthfulness of that volume. 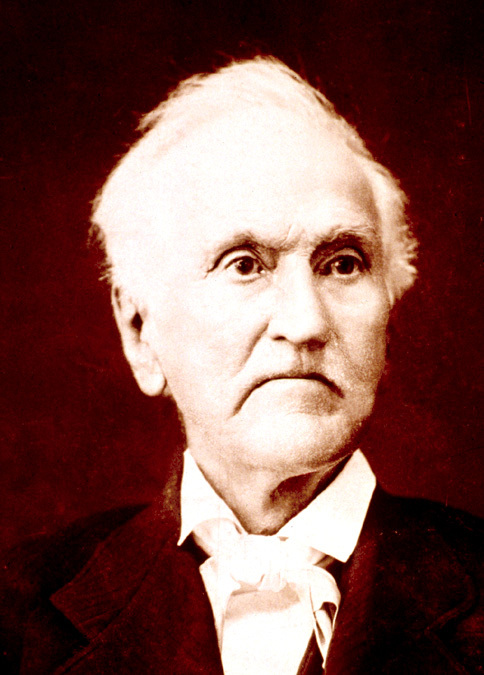 As a friend of Oliver Cowdery, David was an eyewitness to many of the earliest key events in the history of the Church of Jesus Christ of Latter-day Saints. 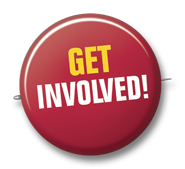 Each of the Three Witnesses left the Church in subsequent years. Although David was the only one of the three who did not return, he never denied his testimony of the Book of Mormon. 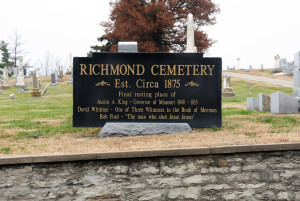 After his disaffection from the Church, he moved to Richmond, Ray County, Missouri where he lived until his death on January 25, 1888, at age 83. David was a brother-in-law to Oliver Cowdery, another of the Three Witnesses. 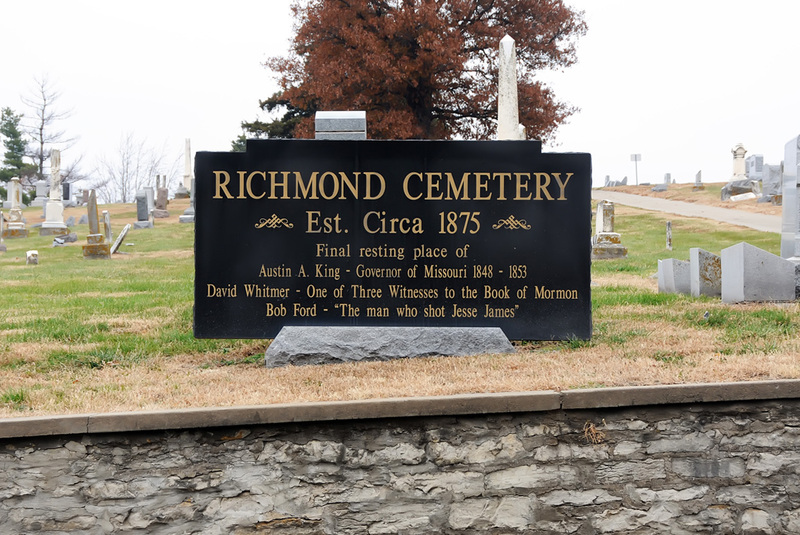 David and Oliver both died and were buried in Richmond, but they are in different cemeteries. 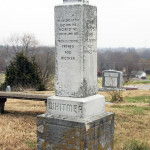 Richmond City Cemetery, where David Whitmer is buried. 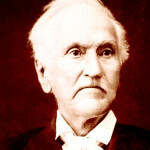 Image of David Whitmer, on of the Three Witnesses of the Book of Mormon. 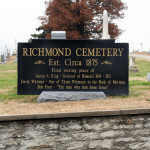 The Richmond City Cemetery, located on West Main Street, about a half mile from the courthouse in the center of town. The sign identifying the site notes that David Whitmer is buried there. It also notes that Austin King, who was the judge who presided over Joseph Smith’s court of inquiry in 1838, is buried there. King was later governor of the state of Missouri. A third person listed on the sign is Bob Ford, the man who shot Jesse James. 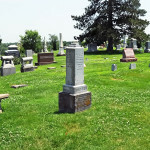 David’s grave is located 21 feet from the rear boundary of the cemetery and 33 feet east of the Middle Cemetery Road. Max H Parkin, in LaMar C. Berrett, ed., Sacred Places: Missouri, A Comprehensive Guide to Early LDS Historical Sites, vol. 4, 263-264. Lyndon Cook, ed., David Whitmer Interviews: A Restoration Witness.